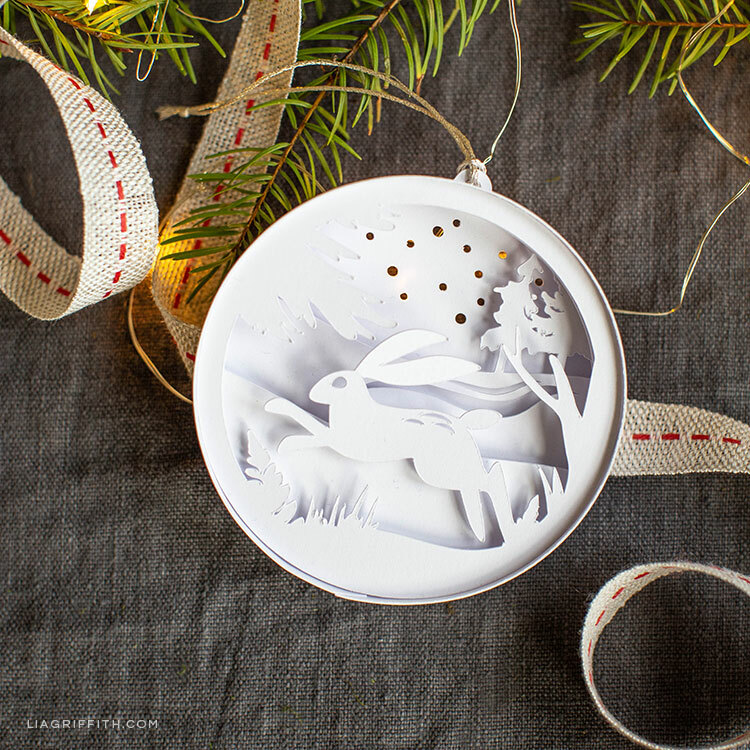 We have made a lot of DIY projects featuring adorable woodland creatures. 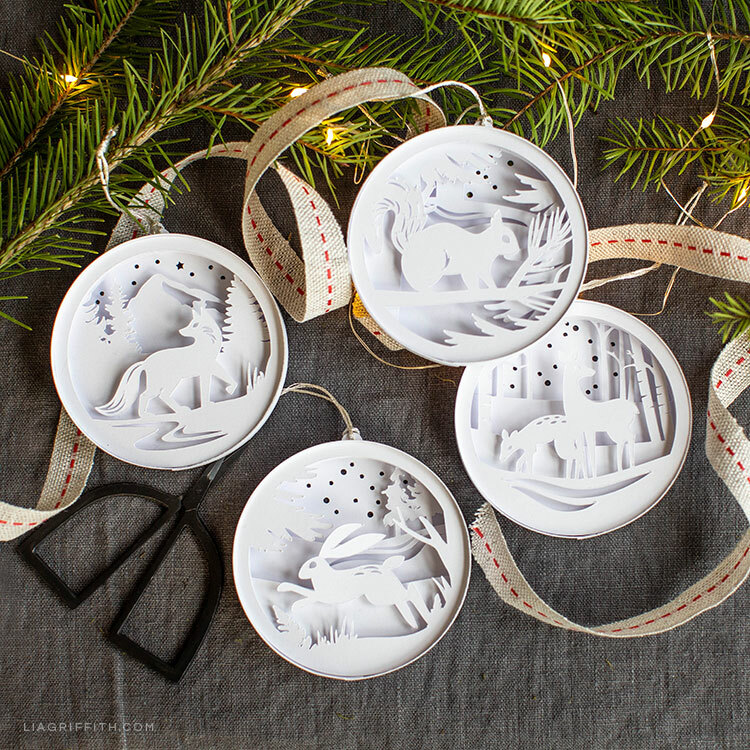 So for Christmas this year, our designer Krista decided to create these paper woodland ornaments. I just love the detail on these and how they came together. Plus they look so cute on our little Christmas tree. 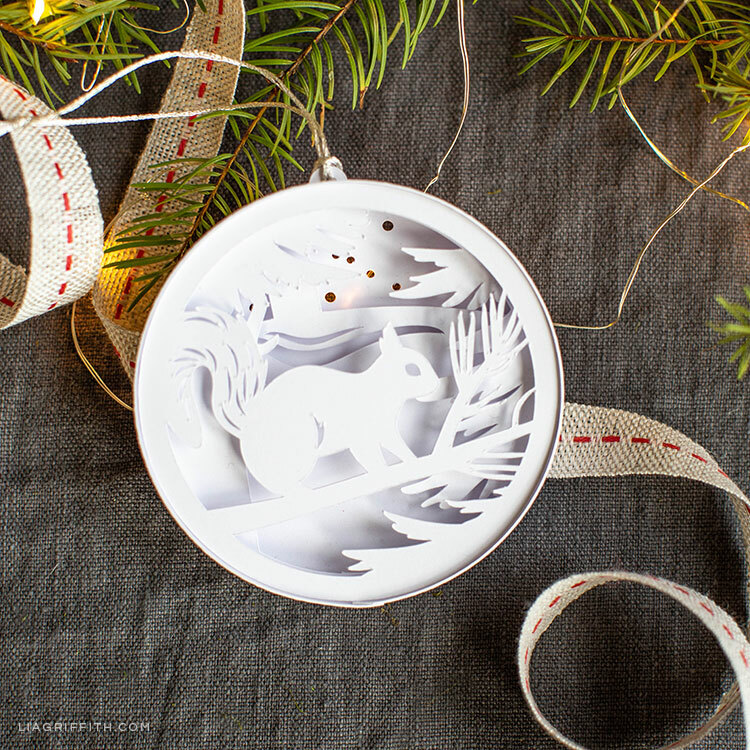 Since this is a more intricate pattern, we recommend using a cutting machine for this craft. But we have included a PDF template at the end if you want to use a craft knife to cut the pattern by hand. 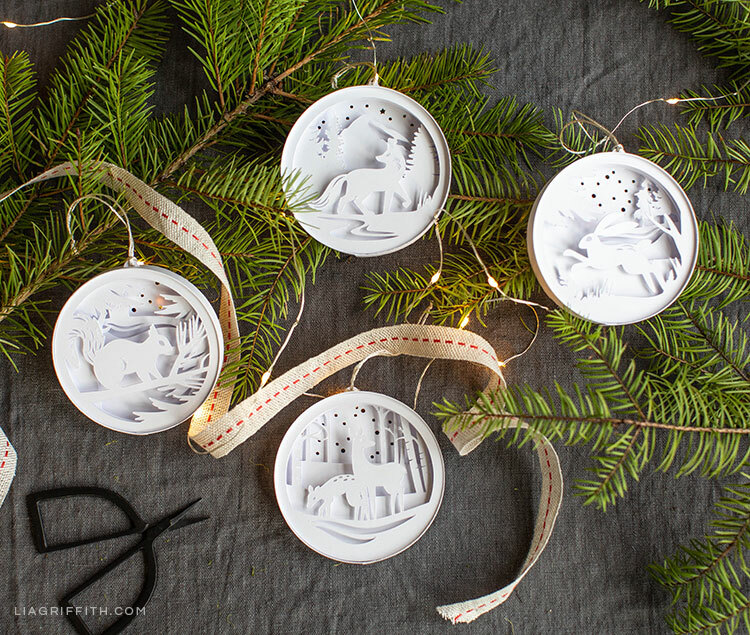 Also, if you want some other ideas for your tree, we have plenty of DIY ornaments for you to explore! 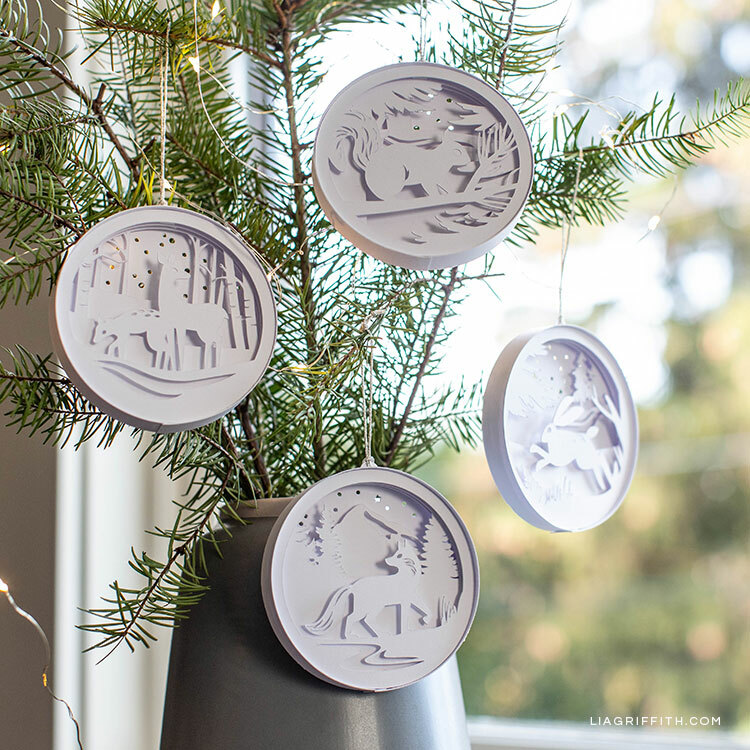 We went with white cardstock for our paper woodland ornaments to create the illusion of snow-covered trees, hills, and animals. 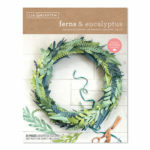 You can always use a different color for your DIY version, of course! But there’s something so magical about snow at Christmastime. Also if it doesn’t snow where you live, this may be one way to enjoy the calm and peaceful feeling that looking at snow can bring. 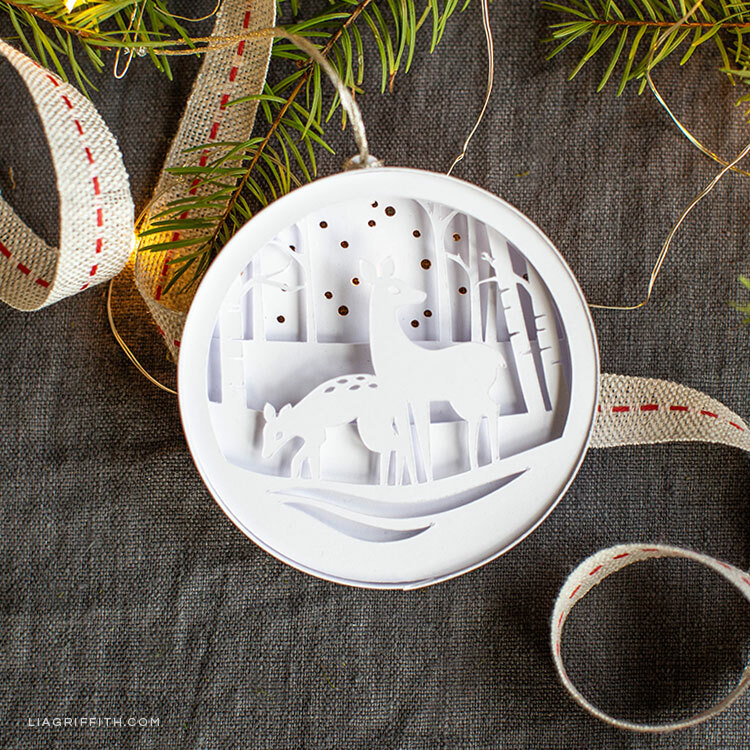 These white paper woodland ornaments are also a great idea if you’re going for a Scandinavian look this Christmas. While there are many aspects that make up Scandinavian design, using neutral colors and nature-inspired designs are two key elements of Scandi style. 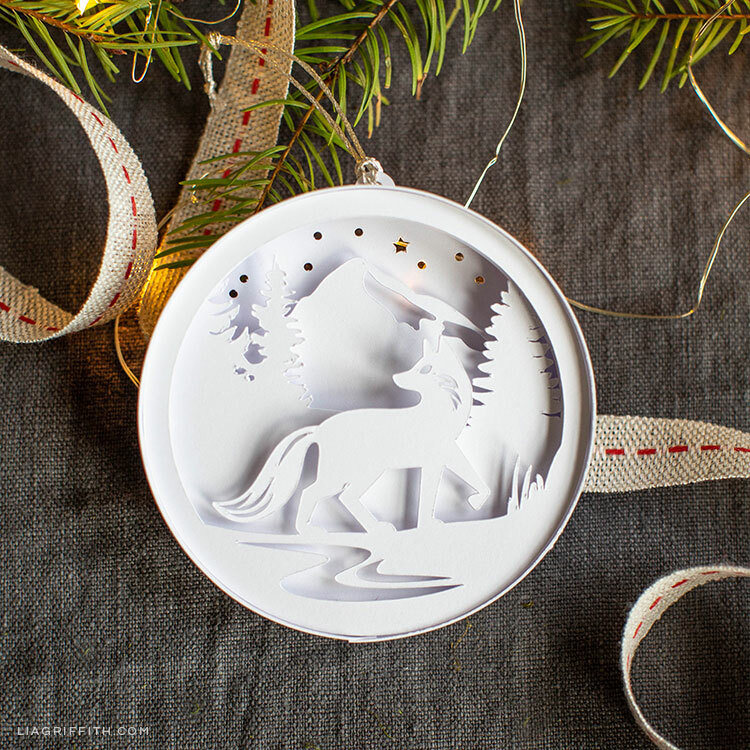 If you’re still figuring out what style you’re going for this season, this post on DIY ornaments for any holiday style might help. Gather your tools and materials. Then download the pattern at the end of this post. 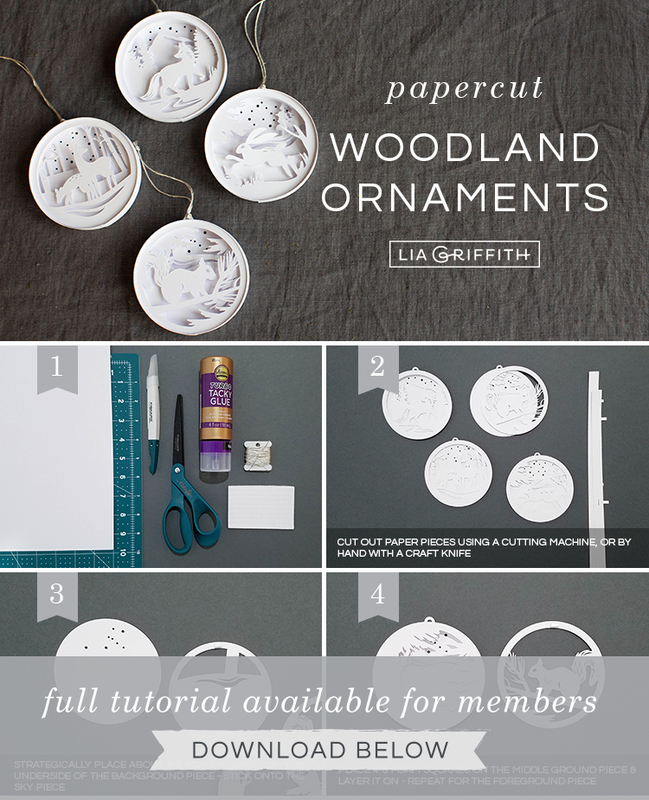 Cut out paper pieces from white cardstock using a cutting machine (recommended) or by hand with a craft knife. Strategically place about 4–6 foam squares on the underside of the background piece—along the edges and a couple more near the middle. Stick that layer onto the backmost (sky) piece. Place 4—6 foam squares on the middle ground piece and layer it onto the background. Repeat for the foreground. 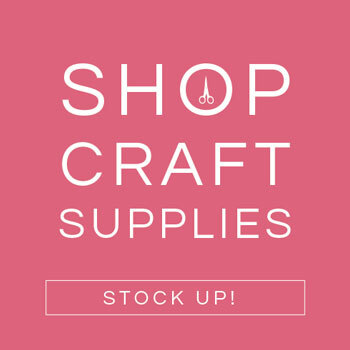 You can browse all of our holiday crafts and ideas here. For daily DIY inspiration, follow us on Pinterest, Instagram, or Facebook. 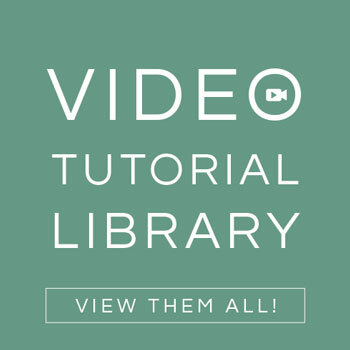 You can also check out our YouTube channel for video tutorials. 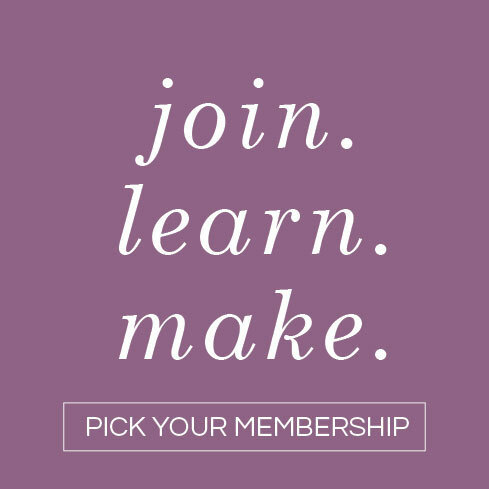 To download this pattern (and many more), become a member. When I download the SVG file I only get the back layer with the holes in it. I tried uploading to Design Space and got the same layer. The PDF version has all layers. Thanks! It looks the same way on my Silhouette Studio Design. I simply ugrouped them and they are all there layered together. OMG, these are beautiful and I can’t wait to get home and make them. Thank you. 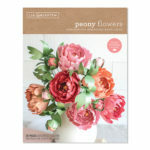 Hi, these are gorgeous but I’m having a hard time with the SVG file. When I open it in Silhouette Studio Designer Edition and convert it to a cut file, all of the layers meld into one so I’m left with a jumble of pieces. I’m sorry Catherine! We don’t use Silhouette software so I can’t say exactly what the problem is. Can you reach out to Silhouette’s customer service, and let us know if there’s something that needs to be fixed in the cut file? It looks like the SVG version of the file does not have all the pieces? The file looks complete to us– what do you see missing? Send us an email to hello@liagriffith.com. Oh my! 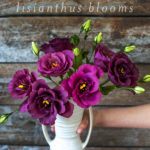 These are so lovely! I’m heading to my Exploe right now to make some. Thanks for such classy, worthwhile projects. So glad you love this Abi!